The P30 Pro has four rear cameras, including a new 5X superzoom optical lens and a 20-megapixel ultrawide lens. The selfie camera is a whopping 32 megapixels for extra detail. The P30 has three cameras, omitting the 5x superzoom lens. Both models have a new camera sensor to let more light in. The P30 Pro has a 4,200mAh battery, equalling the largest on the market. Huawei is now one of the top three smartphone manufacturers in Ireland and across the world, sitting alongside Samsung and Apple. It has focused much of its design and energy on making its phone cameras the best in the business, believing that this is one of the most important features of a handset. Its Leica quad camera system -- incorporating the 40-megapixel main camera, 20-megapixel ultrawide camera, 8-megapixel telephoto lens and ‘time-of-flight’ camera to simulate depth-of-field information -- comes with what Huawei claims to be better optical image stabilisation. This is particularly useful for capturing videos. Huawei has added a feature to let the phone use two of the rear cameras to record different videos at the same time. Called ‘dual-view’ mode, you can capture both an ultra-wide angle clip and a zoom shot. Photographically speaking, a 5x optical zoom shouldn’t be possible on a lens lying flush with a flat smartphone. But Huawei says that it has played with the optics to introduce a periscope design. It says that a prism element in the telephoto camera bends light at a right angle to maximise focal length while minimising camera height. Testing this feature will be interesting. However, it is notable that the superzoom is 8 megapixels and not 20 or 40 megapixels like the other rear cameras: it may be the case that the superzoom uses less of the sensor than the other focal lengths. As well as that 5x optical zoom, Huawei says that the P30 Pro is capable of a 10x ‘hybrid’ zoom and 50x digital zoom. Huawei has also provided more detail on that new sensor. It says that the ‘SuperSpectrum’ sensor “looks at light in a fundamentally new way” and is calling a “shift” in sensor technology. Nevertheless, there’s little doubt that Huawei is pushing the boundaries of what a camera phone can do, here. The P30 Pro comes in black or ‘breathing crystal’, while the P30 comes in black, ‘breathing crystal’ or ‘aurora’. 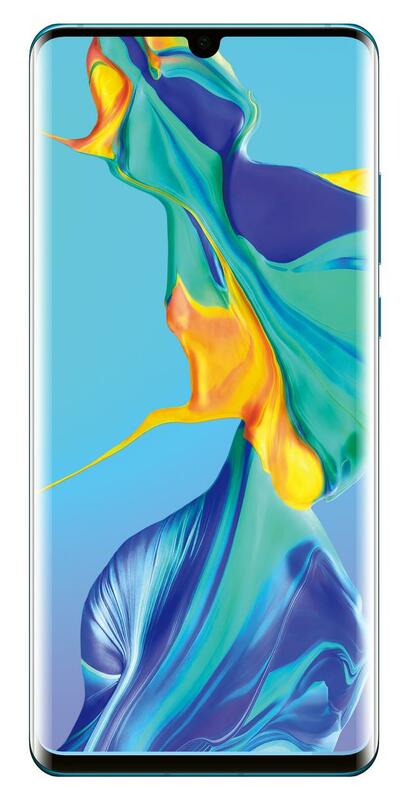 The ‘aurora’ colour variant is only available from Carphone Warehouse. Any pre-order of the P30 Pro or P30 before April 4 also qualifies for a free Sonas Speaker which Huawei says is worth €229. The same offer goes for anyone buying one of the phones outright on April 5.